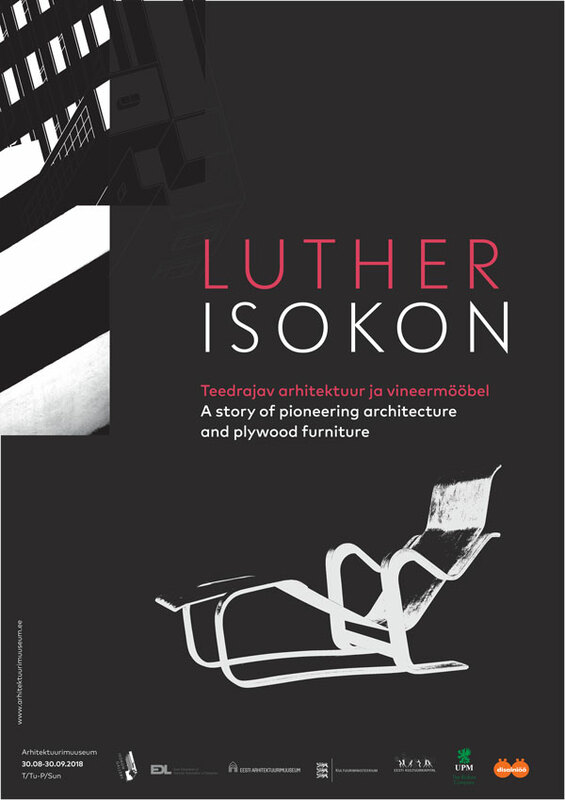 Central to the Isokon story is Estonian plywood manufacturer A. M. Luther(Luterma) whose materials provided the inspiration for some of the most radical furniture designs of the twentieth century. The exhibition reflecting the plywood industry is brought to the present day by the examples of the innovative plywood manufacturer UPM. The topic is complemented by lectures of Jüri Kermik, John Allan, Elizabeth Darling, Magnus Englund and Karen Jagodin. 16.45–17.15 Magnus Englund: The Pritchards and the Bauhaus. 17.30 – 18.00 Elizabeth Darling: Wells Coates: An Architect’s Adventures in Plywood. Jüri Kermik is an academic and designer with research interests in design history and materials innovation. His doctoral research at the Royal College of Art focused on the history of plywood in furniture design. He has published an award-winning monograph (A. M. Luther 1877-1940: The Innovation of Form Arising from the Material) and continues exhibiting and lecturing internationally. This lecture focuses on innovation built on the knowhow and experience of plywood production, and the close relationship between the three companies – Luterma, Venesta and Isokon during the 1920s and 1930s. Magnus Englund is Director of the Isokon Gallery Trust that has been operating a museum in the 1934 Grade I listed Isokon building in London since 2014. He has written several books about modern Scandinavian design, and is a co-founder of the retailer Skandium, the leading British retailer of Scandinavian design. Jack & Molly Pritchard were two extraordinary individuals in a turbulent period of the 20th century. Through Jack Pritchard's work with Venesta, the British arm of A. M. Luther of Estonia, they came into contact with modernism, which in turn led to a life changing encounter with the Masters of the Bauhaus, four who came to live in their building. Elizabeth Darling is an architectural historian and Reader in the School of History at Oxford Brookes University, UK. She specialises in the histories of modernist architecture & design cultures in inter-war England. Her books include Re-forming Britain (2007) & Wells Coates (2012). Wells Coates made extensive use of plywood from the start of her career. This lecture will focus on a number of key examples to explore the distinctive architectural language that she developed with this most modern of materials. John Allan was a Director at Avanti Architects from 1983-2011 leading Modern Movement conservation projects and studies. He was founding Chairman of DoCoMoMo-UK and is author of the award-winning biography Berthold Lubetkin – Architecture and the tradition of progress. He is a member of the Finsbury Health Centre Preservation Trust and Chairman of the Isokon Gallery Trust. This talk will focus on the Isokon apartments in London, opened in 1934 as a pioneering experiment in urban living which soon became home to some notable refugees from Europe including Walter Gropius, Marcel Breuer and Moholy Nagy. Also described will be the major restoration project of 2004 and the formation of the Isokon Gallery whose exhibition that has been re-created in Tallinn for this Design Festival. Architectural researcher graduated from the Estonian Academy of Arts in Art History 2005 (BA) and University College London, Bartlett School of Architecture, Master of Arts in History of Architecture in 2014. The main research areas are related to the architecture and interior architecture of the Soviet period; she has written and edited several architectural books and guides. The lecture focuses on the further development of the historic Luther factory after nationalization during the Soviet period (the Tallinn Plywood and Furniture Factory) and, after privatization, to the production of AS Marlekor. The last segment of the lecture will cover the contemporary era and focus on how plywood inspires Estonian designers today.